SEOUL, March 9 (Korea Bizwire) — With the introduction to market of 5th generation wireless systems (5G) forecast for next year, there has been an abundance of gaming content and shopping services integrated with VR (virtual reality) and AR (augmented reality) — two technologies widely considered to be hallmarks of a 5G future — released. According to industry watchers, South Korea’s VR and AR market is set to grow immensely by 2020. 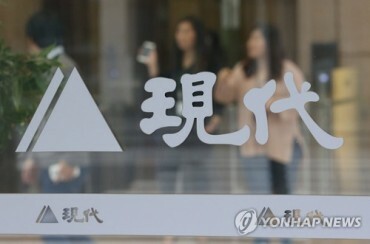 Based primarily on VR-AR content and platforms, KB Securities estimated the domestic market to be 200 billion won last year, and projected the valuation to increase fivefold to pass 1 trillion won three years later. The projections increase dramatically when market sales of VR headgear are incorporated into the calculations. The Korea VR-AR Industry Association stated that the South Korean VR market alone was worth 1.4 trillion won in 2016 and would hit 5.7 trillion won by 2020. VR gaming establishments began to appear starting in 2016; at the moment there are believed to be around 200 nationwide. 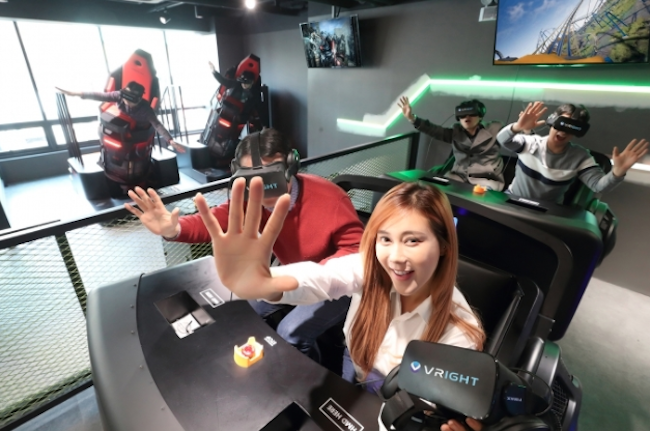 Last year, theme parks Everland and Lotte World both unveiled VR attractions, while telecommunications firm KT teamed up with GS Retail to open Vright, a VR games and content center in Seoul’s university neighborhood of Sinchon earlier this month. 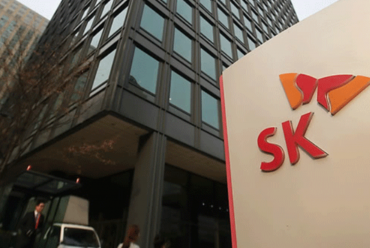 KT and GS Retail are aiming to expand to 200 locations with 100 billion won in revenue by 2020. Retail firms have generally focused more on utilizing AR than VR. 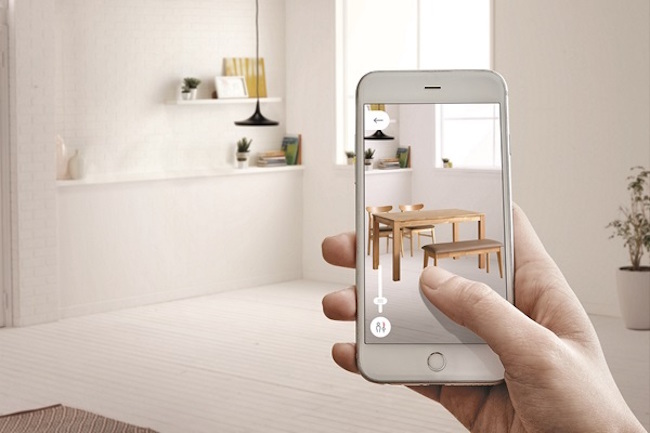 Furniture firms IKEA and Hanssem currently offer services that enable the user to visualize how a table or chair would look in desired settings, while outdoors clothing brand Nepa showcased an AR fitting zone at its smart store opened in Gangneung prior to the Winter Olympics. 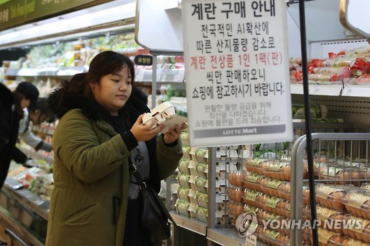 Electronics retailer Lotte Hi-Mart released a similar service to IKEA and Hanssem’s last year, except the user would pick and choose household appliances and devices rather than furniture. Despite the flurry of development taking place, the VR-AR industry is still in its nascent stages. Slow technological progress and lack of VR-AR content have been pointed to as two factors hampering growth. For expansion, telecommunications and VR-AR content creation firms are placing their hopes on 5G, as the high-speed transmission of mass quantities of data could open the door to mainstream adoption of wireless VR and surge in diverse content creation. At this juncture in VR’s development, high-performance VR requires a wired headset connected to a PC or battery strapped to the back. Physical discomfort caused by the gear as well as its high price has translated into a lukewarm consumer response. Not all view the impending arrival of 5G with optimism. At a discussion with media last month at MWC 2018, LG Uplus executive Kwon Young-soo admitted he was worried as the recent overall progress of AR and VR games was slower than hoped for, leading him to question whether consumers would be willing to pay premium prices for 5G networks if development were to continue at the same pace. “The lack of standout services is worrying,” Kwon said. 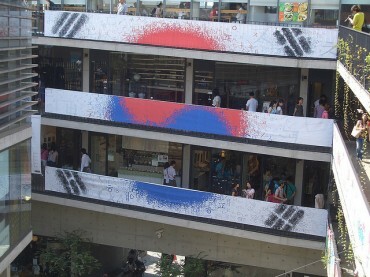 How to Increase “Social Capital” in Korea…Hyundai Economic Research Inst.